Manchester has slowly but surely made a name for itself as the party capital of the northwest, so it's no wonder it has a lively summer festival scene to match. Here at Licklist, we know a thing or two about music festivals, and when it comes to Manchester's offering, you can't get much better than Parklife. Parklife Festival is an independent, multi-genre music festival held annually in Manchester. From humble beginnings, Parklife has grown into one of the nation's favourite summer music festivals, having to change venue back in 2012 to accommodate increasing demand. Fresh off the festival's biggest year to date, Parklife has earned its place as a summer staple, catering for fans of all genres, from indie and dance to electronic and hip hop. Its notorious line-ups consistently feature some of the best underground DJs the industry has to offer, and 2019 is no exception. 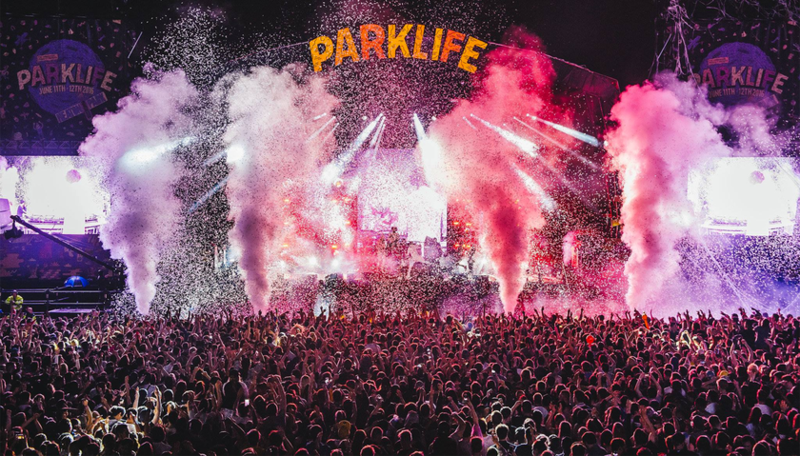 Chart-topping artists from the world over will take to Parklife's eight stages, laying on a mix of diverse and cutting-edge music across Manchester's Heaton Park. Kicking things off on Saturday on the Parklife Stage is none other than rap queen, Cardi B. This is rumoured to be her only UK performance of the year, so it's a set that's not to be missed, okuuuuuuurt! Taking to the Valley stage will be everyone's favourite electronic duo, Disclosure, and a host of other internationally-renowned artists like Mark Ronson and Annie Mac. On the Temple Stage, Chase & Status present their RTRN II Jungle DJ set alongside other industry favourites like Andy C and My Nu Leng. Head over to the G Stage for MK Presents Area 10, featuring DJs Danny Howard and Sonny Fodera. With four more stages left to explore, one thing's for sure: there's not a dull moment at Parklife! Lazy Sundays are officially a thing of the past, as Parklife's Sunday line-up is as explosive as its Saturday programme. Head back to the Parklife Stage for performances from the likes of George Ezra, Khalid and Mabel, or swing by the Valley Stage for sets from Major Lazer, Migos and Stefflon Don. Does Parklife sound like the festival for you? Of course it does! Tickets are selling fast, so head over to https://parklife.uk.com/ticket s/ to snap some up while you still have the chance.